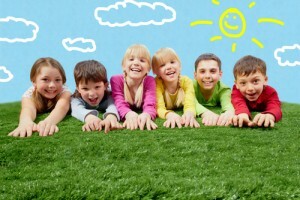 Is your child in Odessa already getting geared up for the summer season? Our summer camps in Odessa offer plenty of opportunities for your child to release some energy, build relationships, and make valuable memories. We’re here to help campers make the most of their time off school by ensuring they have plenty to keep them busy, from hands-on activities and field trips to skill-building exercises and chances to discover more about the world around them. We’ve structured our program around ten works of children’s literature, helping our campers maintain and further develop their language skills over the summer break. Our goal is to show children how the lessons they learn in literature can help them in real life. Campers will embark on “mighty missions” based on each weekly piece of literature, forming a set of themed activities that encourage them to think deeply about the stories they’re reading. Week 1: Children learn about animal rescue and contemplate how they can care for their own pets at home. Week 2: Our campers discover the superpower of creativity through fun projects in the kitchen. Week 3: We emphasize how friendships require kindness and respect through relationship-building exercises. Week 4: Our games and puzzles challenge campers to focus on teamwork and sportsmanship. Week 5: Campers put their thinking caps on as they go on an adventurous dinosaur dig and learn about archeology. Week 6: An unsolved camp mystery needs unraveling, prompting campers to try their hand at investigation. Week 7: We show children how they can bring their imaginations to life as they become creators and visionaries. Week 8: As we focus on health and fitness, campers learn about the amazing feats the human body can accomplish. Week 9: Campers embrace self-reliance and resourcefulness through a science-fueled adventure that explains some of the phenomena of the natural world. Week 10: We shine a spotlight on talents to show that being a superhero is all about being confident in our own uniqueness. Make sure your child has plenty of fun to look forward to this summer by calling Discovery Point Suncoast Crossings at (813) 792-9451 or stopping by our child care center for details about our summer camps in Odessa.